Full day prices on request. 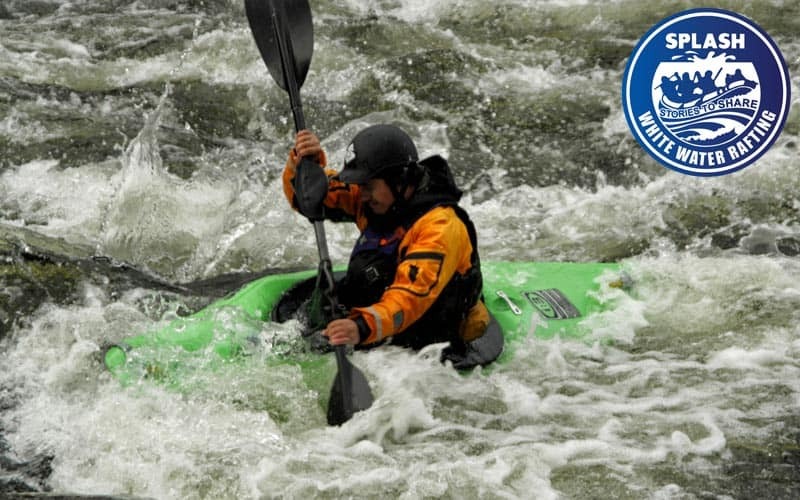 Learn to Kayak with Splash or come with us to some of the best white water in the world to test your big water skills. 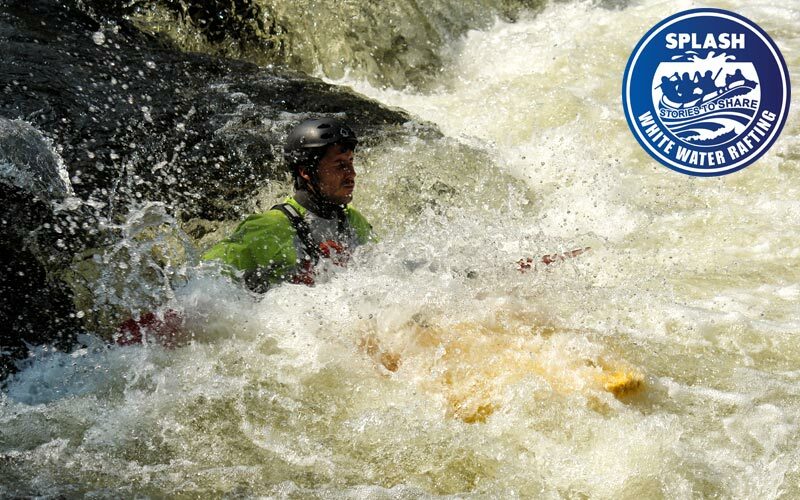 Splash are right beside the only whitewater river in the UK that runs all year round! The river has great access in the Summer as well as Winter. We are also close to several other great white water rivers. Combine your Kayaking with another Splash activity and save! Why not try out rafting river bugs or river duckies? A full day of adventure on the river cost from just £85 per person – guaranteed excitement and exhilaration suitable for the whole family! As part of a stag weekend we decided to do some activities up in Scotland. I had previously been rafting with Splash many years ago and really enjoyed it. Over the course of two days we went white water rafting, quad-biking in the hills and then kayaking down (which also involved some rapids!). I have to say the events were all brilliantly organised, the instructors were all friendly, funny and very knowledgeable. We had a fantastic time and I would definitely recommend Splash to all my mates. I had previously been on a quad bike in Wales, which involved just going round a field, but this was so much better! We went up into the hills, across different terrains, and stopped at the top to take photos. The stag (who is a bit of a petrol head) absolutely loved it! The rafting and the kayaking were both equally exhilarating and exciting, but we always felt safe. They also give you free access to good quality photos of your experience on their website. Again I couldn’t recommend using Splash enough, they were fantastic!! On every Kayaking trip we include all equipment required plus a professional experienced guide. A logistics manager on land who is also a very experienced guide. All equipment required which includes over £150 worth of wetsuits, helmets, lifejackets and paddles. You will be provided with everything you need to kayak safely. However we do ask you to bring an old pair of shoes to wear on the river (These will get wet), and your swimwear for underneath your wet suit. Optional – a non cotton T-shirt (synthetic materials are best ) for under your wetsuit. Depending on the time of the year warm clothing for before and after your trip. How do I get to Aberfeldy? Self Driving is the best way to get to Aberfeldy and Perthshire as this lets you fully explore the stunning countryside. By bus from both Perth and Pitlochry with regular services seven days a week. By a combination of train and bus. Catch a train to Perth or Pitlochry and then catch the bus. Self Driving is the best way to get to Aberfeldy and Perthshire as this lets you fully explore the stunning countryside. Below are the rough times and road options from the main areas of Scotland. You can get to Aberfeldy by bus from both Perth and Pitlochry with regular services seven days a week. We recommend using Google maps from your phone or PC before and during travel to Aberfeldy as they can show you the exact information from your location including walking, buses, trains and driving options. 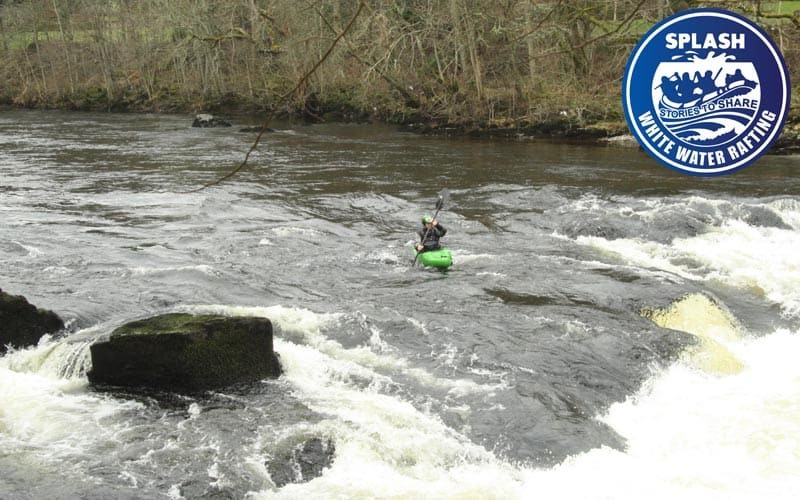 Thank you for considering Splash white water rafting as your activity provider for kayaking on the River Tay. We hope to see you on the river soon. Team Splash. Please check out our reviews on Tripadvisor – we have over 250 five star reviews, we want you to be our next 5 star reviewer.